Chicagoans are resilient, just ask any Cubs fan. The winter of 2013-14 was the coldest ever recorded in the Chicagoland region and one of the snowiest as well. Approximately 75” of snow fell in the Chicago area last year – the most since 1968-69. Even with temperatures nearly reaching 50 degrees in January, sub-zero weather plagued the city, making it the coldest on record since 1903-04. We all felt it, we all hated it. As the warm weather and golf season arrives in Chicago, you may notice as you tee it up this spring that some courses have been affected by what is known as winterkill, leading to sub-standard turf conditions. While snow coverage – even a lot of it – is not necessarily a bad thing, the vast amount of snow combined with the fluctuating temperature has led to the conditions most courses in Chicago are experiencing. From patches of turf on the fairways to portions of greens, many courses are experiencing damage that ranges from moderate to high. The Culprit: Two factors caused the damage. The first was continuous ice coverage over the grass. Poa annua grass – a form of perennial bluegrass – cannot sustain itself under ice cover for as many days as the ice was on the ground and beneath the surface this winter. Second, there were three warm-weather periods in mid-to-late January and late February that were followed by below-freezing temperatures. Snow melt followed by an immediate refreezing led to additional damage as snow-turned-water was absorbed by the grass, and then froze inside the grass plant itself. The Result: A large amount of continuous ice coverage bringing about the injury of grasses on most courses in the Chicago area. 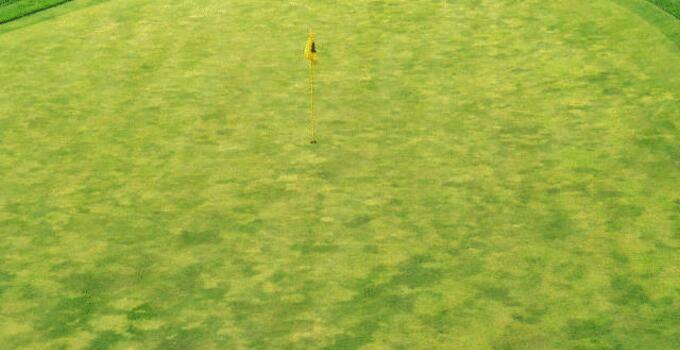 The Victim: The damage was primarily to the Poa annua grasses on the putting greens and in fairways. Bentgrass surfaces were largely unaffected by the brutal winter. The bad news? While nearly every course in the Chicago area has experienced some Poa annua loss, some courses have been damaged more heavily than others. Simultaneously, Bentgrass seed to replace the Poa annua is in shorty supply, and sod companies are quickly exhausting their supplies. The good news? Over time, some of the damaged areas will repair themselves with simple culture practices such as aerating, fertilizing, spiking, seeding, topdressing, watering and increased mowing heights. Billy Casper Golf is working hard to restore our courses back to the level of condition that our guests have come to expect. Our experts are working around the clock to spur on the recovery. Team members from our southern courses have made the long trek to the north to lend their knowledge and skills to the recovery process. Shipping in sod from southern courses has also been discussed as a viable option. Above all else, however, air and soil temperatures are paramount to recovery. While some of the Midwest has been fortunate enough to see their thermometers tip the 70-degree mark, getting consistent warm weather is crucial to promote recovery. Snowfall on March 24 and in early April , as well as lows in the teens the following days, were perhaps the last throes of winter. April weather patterns have shown an encouraging trend toward warmer weather. You can do your part, too, to help your local course in its recovery process by respecting all cart rules and golf course signs. If you are like us, the desire to hit the links is just as strong as wanting to see the Blackhawks raise another Stanley Cup. Our courses are open for play, with conditions improving every day around the region. While summer can’t get here soon enough, the golf season is underway. We’ll be updating you regularly on our progress, stay tuned.